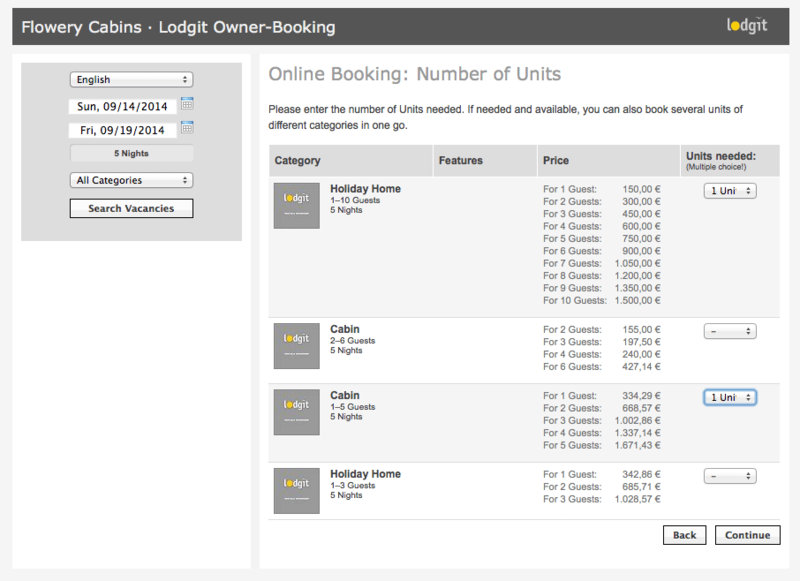 generate an ics feed for each unit for holiday home channels like airBnB or 9flats. You can use this module on every computer or smart phone to view your establishment‘s occupancy and to perform a booking. You need only log on in the SSL secure login area on this website and access the online booking sheet at any time and enter bookings for your guests from there. These so-called online owner-bookings are carried over automatically into Lodgit Desk through regular synchronization, including complete address data and the guest’s payment method, if specified. The calendar comes in the form of a monthly view for each rentable unit or a continuous plan for all units with an object. You want to show your guests when you have vacancies but don't want them to be able to book directly? No problem! Simply imbed the booking calendar or plan into your website with the code snippet we provide and lead your guests to a contact form. Your guests can see when there are rooms available and contact you about a booking through that form. 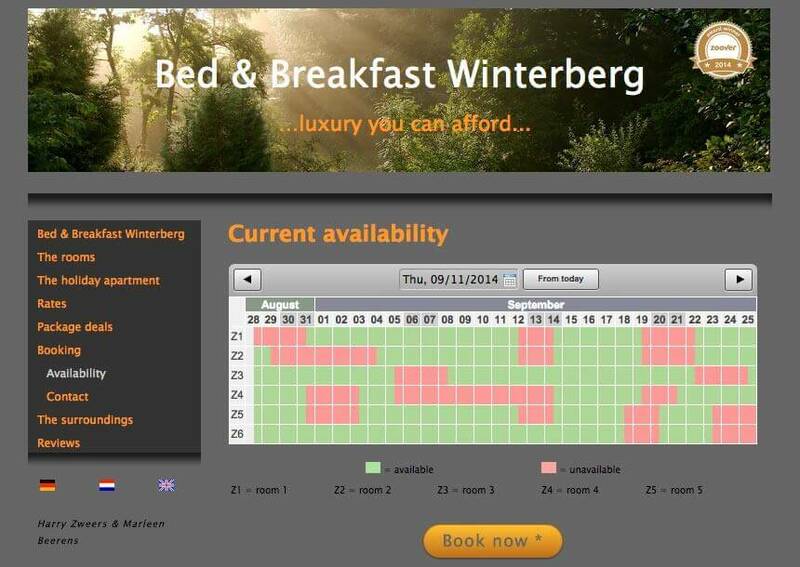 If you want to receive actual bookings, you can use the Online Booking System. Channels that concentrate on the distribution of holiday homes or apartments are currently not connected to channel managers. Updating your vacancies will have to be done manually - and takes a lot of time! But with the new ics feed this is a thing of the past! We offer a feed for each rentable unit that will update itself regularly. You only have to link to this feed in your channel's account and the channel will pull you availabilities automatically. * The module "Online Systems" requires a valid Lodgit Desk license. It can then be added to this license for a small monthly fee in our online shop.